Ambergris Caye, Belize, March 8, 2017	(Newswire.com) - El Gran Carnaval de San Pedro, one of the most vibrant and fascinating festivities around the world, is a 150-year-old annual festival that is celebrated to begin the Lenten season in the beautiful town of San Pedro in Ambergris Caye. It is a strong showcase of the unique culture in San Pedro and is one of the most anticipated celebrations in Central America. Generally, the festivity is meant for people to give free rein to their bodily pleasures, which eventually they will avoid during the Lenten season. It has two highlights; the event of Comparsas, where men dress as women to dance for money through the main streets of the town, and painting, where people enthusiastically and literally cover each other with paint in the streets of San Pedro. Each year, there exists a competition where prizes are given to the best dancers. And on the last day of the carnival, people rush in the street to end the festival with people still painting each other. Displaying similarities with New Orleans’ Mardi gras, it has a unique and remarkable touch in the locality of Central America that is a testament to its undying culture. Traditionally, the first day of the festivity begins with children painting each other with white powder. After the first day, the paint used is changed to blue and red colors. And on the third and final day, black paint is used which depicts the burning of the infamous character Juan Carnaval. In 2017, the opening was on February 25th with a theme of Orgullo, Alegria, y Pasion; Carnaval es mi Tradicion for this year’s celebration, which translated means Pride, Joy, and Passion; Carnival is my Tradition, the colorful festivity never fails to exhibit the rich culture of San Pedro that always brings joy to the small island. This year's festival program included several performances offered to the late “Carnavalista” Felix Ayuso, who inspired numerous people as a well-known member of the island community. He was part of San Pedro Carnaval Comparsas, owner of a local salon, where his passion and dedication shined through his immeasurable talent. At the end of the commemoration, his son, Joran, was presented a plaque to relive his father’s life by the local mayor and the area representative. On the 26th, different Comparsas groups from the San Pedro AIDS Commission, Doña Flora Ancona, Jaguar Girls and Las Tejedoras, were the catalysts of the unending entertainment to the local people and tourists, who conducted song and dance performances. When the clock ticked at 6 in the evening, a beach and painting party initiated at the Central Park, together with the remarkable presentations of Air invasion Sound and DJ Hypastatic and DJ Debbie. On the 27th, another round of comparsas entertainment showcase took place. The downtown streets of San Pedro have flooded again with colorful and blissful painting, and a Foam Teen Party ended at the Central Park at 6 pm. The annual Carnaval is living proof that bolsters the island's spirits to new heights every year. 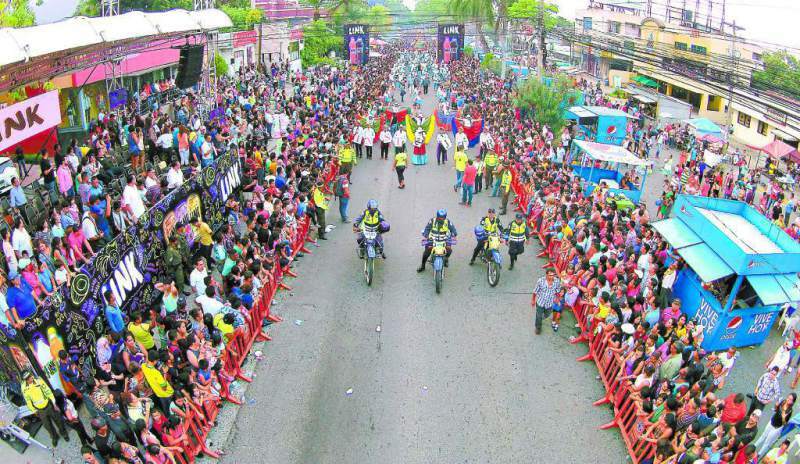 It also has helped shape San Pedro’s industry in positive ways as Carnival becomes a must-see festival for tourists by becoming a medium to showcase their adorable hospitality. The annual Carnaval should definitely be added to your Belize bucket list.